Creating menus and sharing recipes for the holidays and more. It’s cold and snowy out and it’s been this way for a while. So to treat myself and the family I decided to make something very decadent. 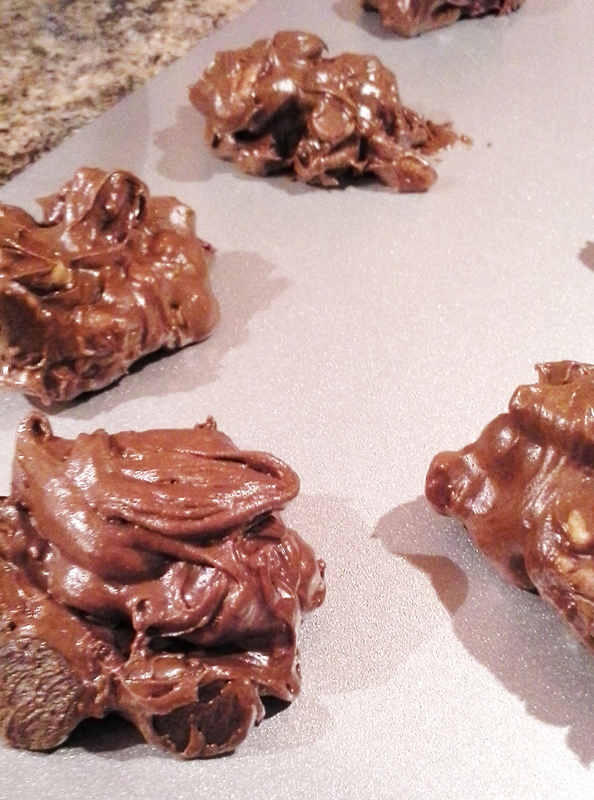 Chocolate Peanut Butter Globs. The recipe is from the Barefoot Contessa, Foolproof cookbook. One word: WOW! 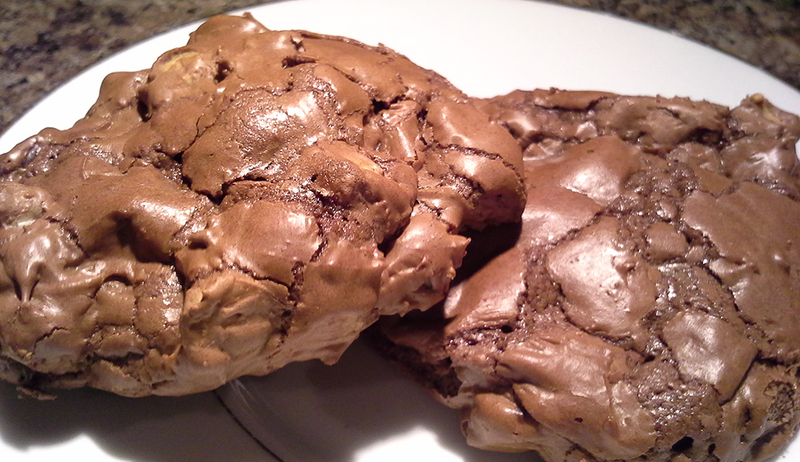 The batter itself is very light and bakes like a chocolate souffle cookie. The add-ins are plentiful and make it rich. Very rich! I can only say that if you haven’t made these yet then you should makes plans to do so. Soon! Alright, now that I’ve let you know just how great these are let’s talk a bit about making them. There’s only a couple of steps to making these including melting chocolate in a double-boiler and pre-mixing a couple of sets of ingredients. The ingredient list itself isn’t too bad either. The only thing I needed was peanut butter chips as I don’t typically use them. It all comes together pretty quickly and before you know it you’re putting globs of this delicious looking batter onto your cookie sheets. They go in for 15 minutes exactly and cool on the cookie sheet. I tried one when it was still pretty warm and it was amazing. It was all melty chocolate and soft brownie flavor. 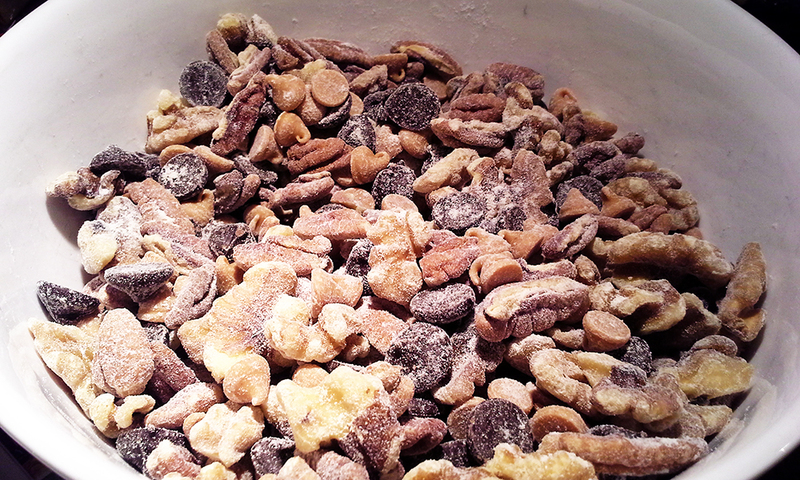 Needless to say I’m glad this recipe only makes just under two dozen or so cookies. I can only overdo it so much. The rest of the family agrees that these are a keeper. They’re easy to make and the taste is chocolate deliciousness. I would use this recipe as the dessert after a lighter meal. The richness of the cookie would pair well with a baked chicken dinner with a couple of vegetable based side dishes. Remember this recipe the next time you want something rich and decadent!